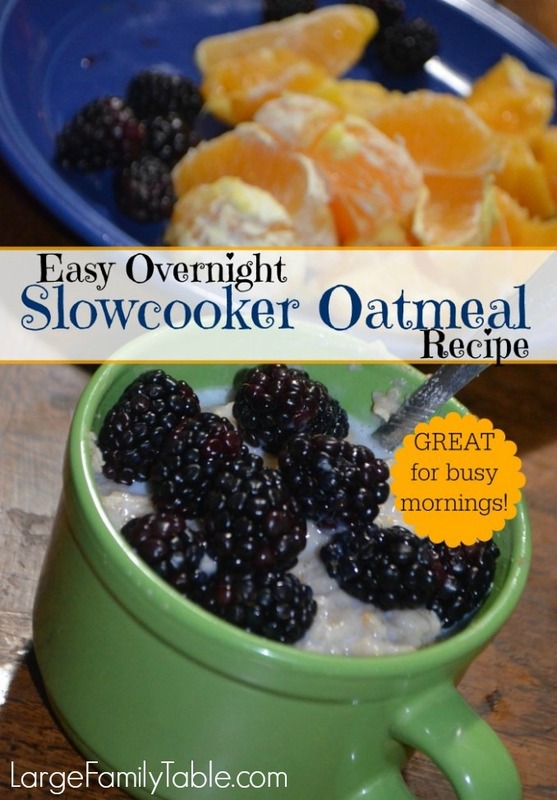 Easy Overnight Slow Cooker Oatmeal Recipe – great for busy mornings! I shared my large family version of easy overnight slow cooker oatmeal on Instagram a few weeks ago. This recipe is so simple, and it’s a favorite of mine. I like to make overnight slow cooker oatmeal on some Saturday nights, so we have a piping hot breakfast waiting for us on Sunday morning. 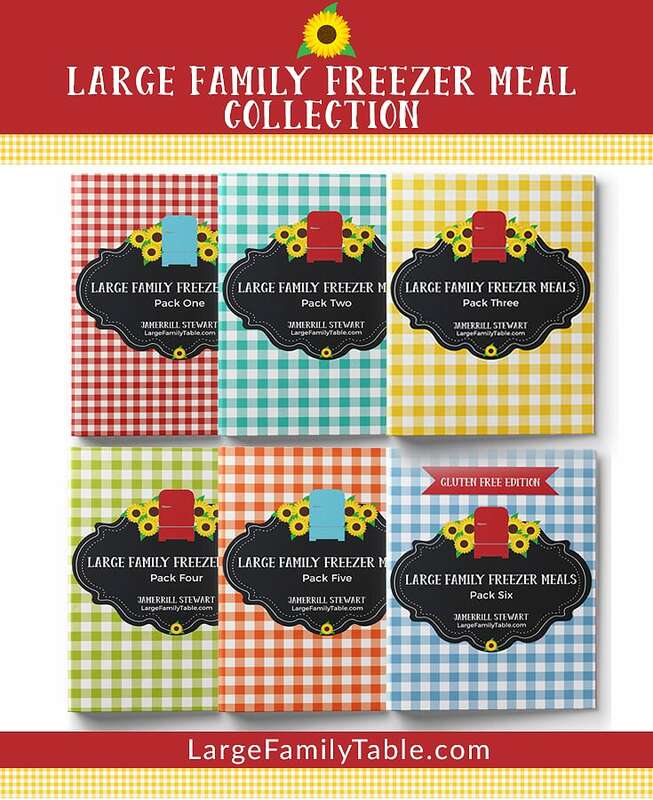 This recipe is also Trim Healthy Mama (affiliate link) friendly as a crossover meal since I use butter (smeal) with the oatmeal (emeal serving). Several of our boys eating slow cooker oatmeal on Sunday before church. keep it on low for about 7 hrs.